Libor Pesek, Chief Conductor of the Czech National Symphony Orchestra, has been involved in a car accident, resulting in a broken breastbone. Thankfully, Libor is recovering well, but will be unable to conduct for 3 months. Libor was due to visit Harrogate this month with the Czech National Symphony Orchestra as part of the Harrogate Music Festival Finale on Sunday 31 July. Fortunately, the orchestra will still be performing as planned, along with advertised soloist Alexander Sitkovetsky, under the baton of Heiko Mathias Förster. Heiko has already worked a great deal with the CNSO and they have a very successful rapport – both orchestra and conductor are excited to be working together to present the planned programme of Mozart, Tchaikovsky & Dvorak here in Harrogate. Heiko Mathias Förster is one of the most admirable young conductors of his generation. He originally pursued the idea of becoming a pianist before taking up conducting. At the age of 23, he became principal conductor of the theatre company in Brandenburg. Within the nine seasons at the Brandenburg Theatre, he has conducted over 32 opera and operetta premieres and more than 500 concerts. As the Chief-conductor of the Munich Symphony Orchestra (1999 -2006) he conducted almost 450 concerts which became an essential part of Munich’s cultural scene. 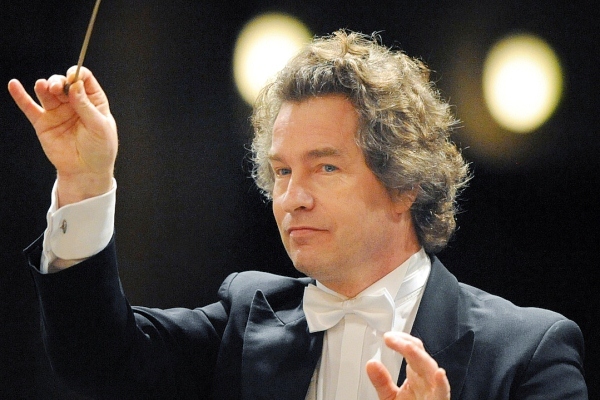 In 2007-2014 he was general music director of the Neuen Philharmonie Westfalen, and in 2014 he was appointed the chief conductor of Janáček Philharmonic Orchestra in Ostrava. Apart from his works with his current “home” orchestra, Heiko Mathias Förster is also a guest conductor at many orchestras around the world. In the Czech Republic, besides collaboration with the Czech National Symphony Orchestra, he has also appeared with the Prague Symphony Orchestra and with the Prague State Opera where he conducted new productions of Verdi’s Otello (2009), Massenet’s Don Quichotte (2010) and Die drei Pintos by Carl Maria von Weber and Gustav Mahler (2011). He also enjoyed great success in numerous guest appearances at home and abroad on opera stages, where he has worked with great stars of the opera world: José Cura, Angela Gheorghiu, Rolando Villazón, Joseph Calleja and Elina Garanča. Tickets for this concert are still on sale. To book individual tickets to see the Czech National Symphony Orchestra under the baton of Heiko Mathias Förster in Harrogate next week please call the Box Office on 01423 562303 or continue below.